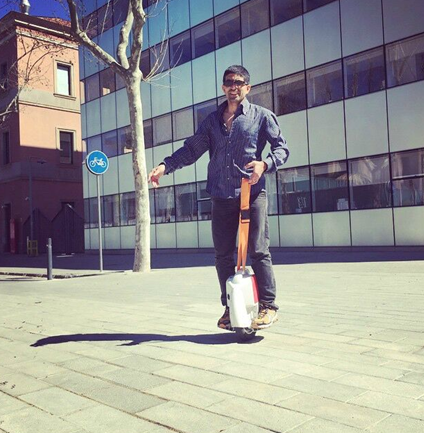 If you are tired of getting around to and from your workplace, the Airwheel can be your alternative transportation. I got my Airwheel X8 from an online store a week ago and can’t help sharing my review to you guys. It’s worth every penny of it. The box delivered to me was quite robust. The Airwheel X8 comes with a balance strap, two training wheels, and a charger. After several uses, I was very pleased with my purchase. It look me about an hour to get the basics of the wheel. But the next day, I was quite proficient in mastering it. It’s actually not that difficult to keep your balance on the wheel as you initially imagined. Once you get hang of it, you’ll find it really easy. However, for the first couple of hours when you are trying to get yourself going on the wheel, you may find it is hard to be relaxed. The fact is that the more you feel nervous on the wheel the less you are likely to maintain your balance. You may even bruise your calves when you want it too much to try to hold your balance. So here are some of my tips that might be helpful for you to quickly get the hang of the Airwheel X8. Order a silicone padding for your Airwheel X8. This will severely cut down on the bruising. Although, once you get the hang of it, you won't bruise because you learn to relax while riding and not squeezing your shins against it. The Airwheel X8 charges very quickly and can last a full day and a half for me. It's an attention getter and I’m used to answering tons of questions. Bring your balance strap if you plan to show it off to your friends as it will fall over plenty of times when they try to learn it. 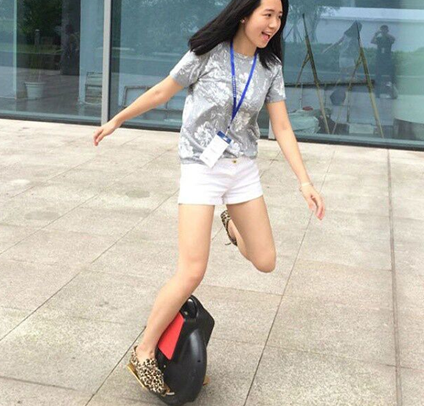 Previous：Why Run With Your Camera When You Can Roll On The AirWheel Self-Balance Electric Unicycle?